PowerKey system, automatic headlights on and dual zone climate control. Engines: lower-emission ECOTEC V6, Supercharged V6, upgraded, more more refined and efficient V8. The basis for the car was the 1995 Opel Omega GM2800 platform, it being redesigned to suit, in turn making the Commodore both wider and longer, and more importantly significantly stronger. The VT afforded more front and rear leg room, more shoulder room, and the boot capacity was increased by a whopping 26%. Most noticed of the improvements was the VT Series II, which saw the introduction of the Chevrolet Gen III LS1 5.7 litre V8, producing 220kW and 446Nm. 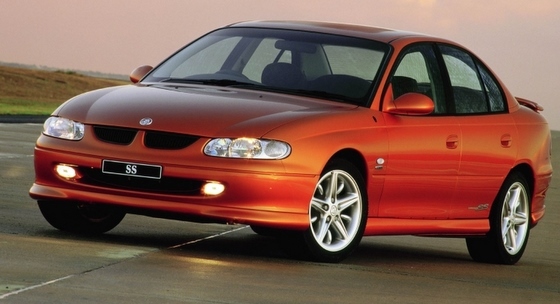 This engine replaced the ageing Holden 5.0 litre V8. Changes were not confined to the engine bay, as a six-speed manual gearbox replaced the five-speed (on the V8). The VT II Calais received a new instrument panel, and could be optioned to have a supercharged V6 engine. All models featured remote central locking.